Miðfjarðará, known in Iceland as “The Queen of the Rivers”, this stunning river with its gin clear water has over 200 named pools, and with only six to ten rods that rotate over five beats it is hard not to feel that you have this cracking river to yourself. Midfjardara has a very special meaning in my fishing life. This amazing river has educated me salmon fishing more than I deserve to learn. 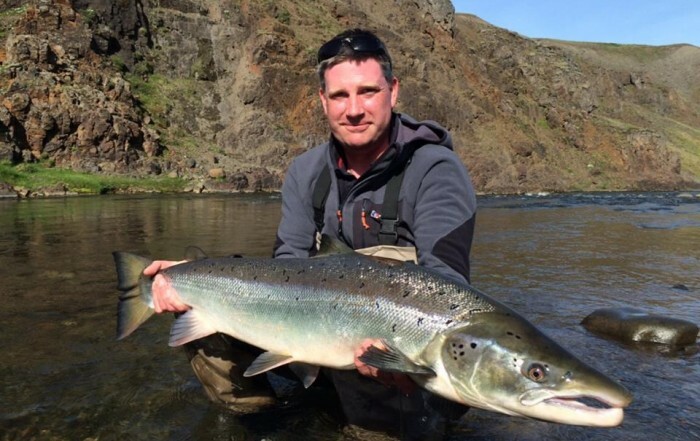 Among salmon operations this river is a solid performer year after year. Looking at the statistics Midfjardara is super productive. But that´s not been the case always. Since Rabbi took over the operation and focused on fly fishing and C&R numbers have ramped up big time both in cathes and size. 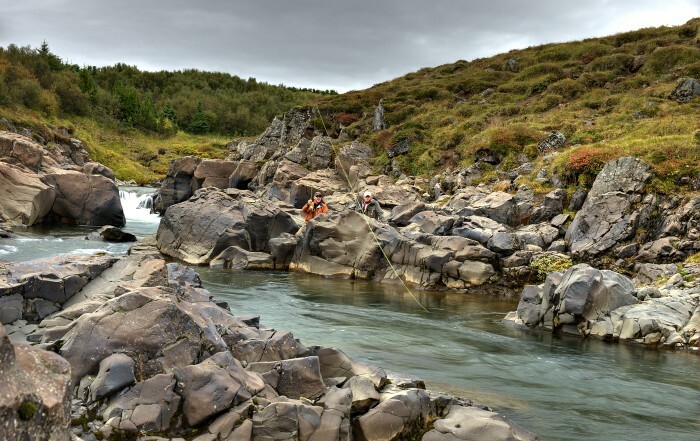 Currently it´s fair to say that among any salmon river anywhere Midfjardara is hard to challenge… Respect the nature and it gives back. Fishing the Midfjardara with Rabbi is an experience like none other. Expectations are highly exceeded with epic fish in numbers that a fly fisher can only dream of. The lodging, food, river and guides are all top notch and laughing is the theme of each day. 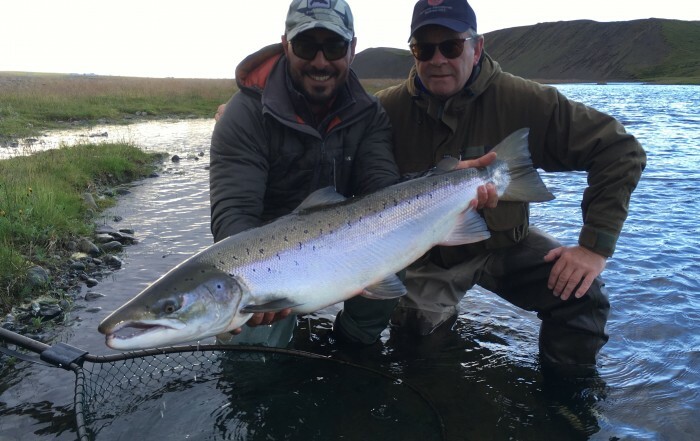 Iceland is a magical place that every angler must someday experience as it leaves a mark on the soul, heart and album of eternal memories. Thanks Rabbi! 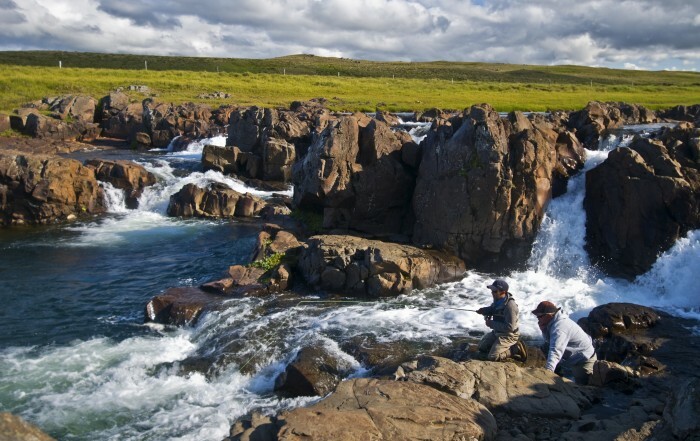 Midfjaradara is my favorite Iceland Salmon river. I fished it over 30 yrs. Its better today than ever. In 09 I landed 30% more salmon than my previous high. the Midfjarada enjoys excellent accommodations,super meals, top notch guides and management, more importantly great salmon fishing. After 60 years of fishing I’ve found in Midfjardara something very close to my idea of perfection. Easy access (even for rods who have lost their youthful agility) to lots of well-rested pools means no pressure; big runs of aggressive fish ready to come to a riffled hitch keep the adrenaline flowing. Top guides, a very comfortable lodge and delicious meals round the whole experience off nicely. But above all it’s the fishing. When conditions on Midfjardara are tough, the fishing is good by the standards of most rivers; when conditions are good, there is no river I’d rather be on.